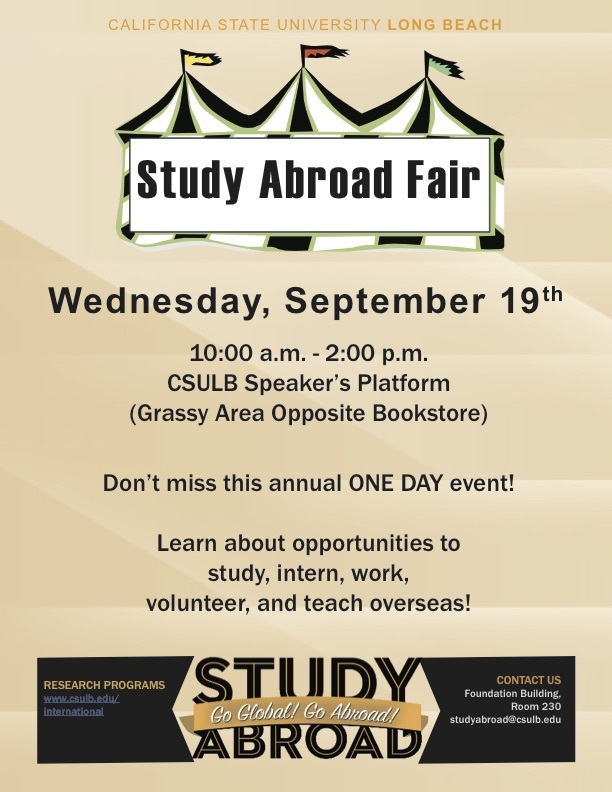 Wednesday, September 19th, the annual Study Abroad Fair will take place from 10 a.m. to 2 p.m. near the Speaker’s Platform in front of the University Bookstore. 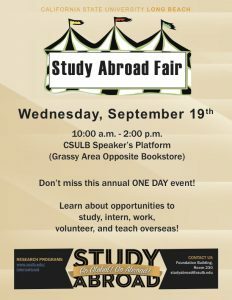 The CSULB Education Abroad office will have tables with information on the CSU International Programs, CSULB exchange programs, Florence Semester, London Semester, and short-term, faculty-led winter and summer programs. Representatives from more than 30 organizations will also be on campus with information on internship, study, volunteer, teach, and work abroad opportunities. Don’t miss our annual ONE DAY event!